I should be studying. Actually, I should be sleeping. But the night owl in me never lets that happen. So I figure I should make food for lunch. Something a bit more substantial than vegetables, which don't get me wrong... are good. Just boring. And no protein. 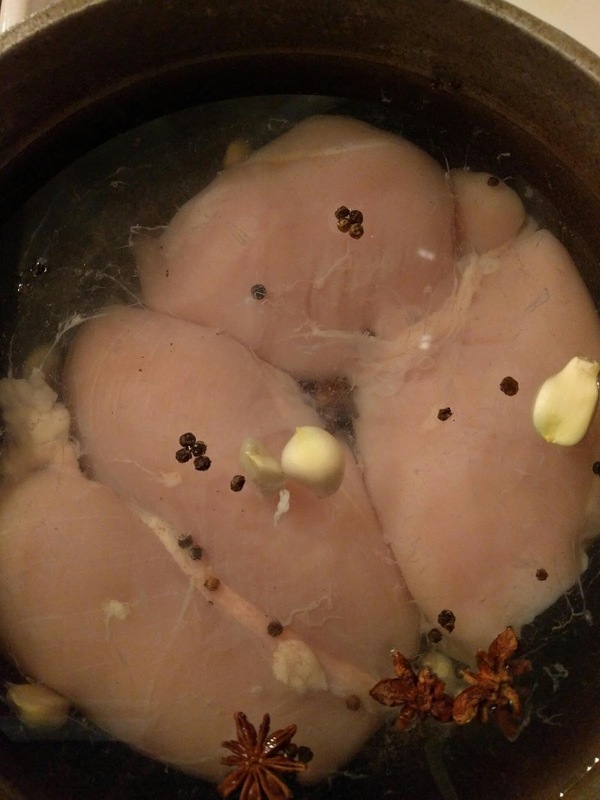 So I'm poaching chicken. Nothing fancy. Garlic, peppercorns, star anise. Okay, maybe the star anise is a bit fancy. But hey... spice it up. I'm thinking adding the chicken to salad for lunch, and perhaps a noodle soup for dinner. Wait... don't I have some CBC in the fridge? Wonder if that is still good. P.S. - I wrote this on phone. P.P.S. - I used the swipe function to write it. How about all that fancy tech savvy...ness. I don't like my phone throwing words in there it thinks I want there. Just had to correct a bit.